Touch for a list of minutes. 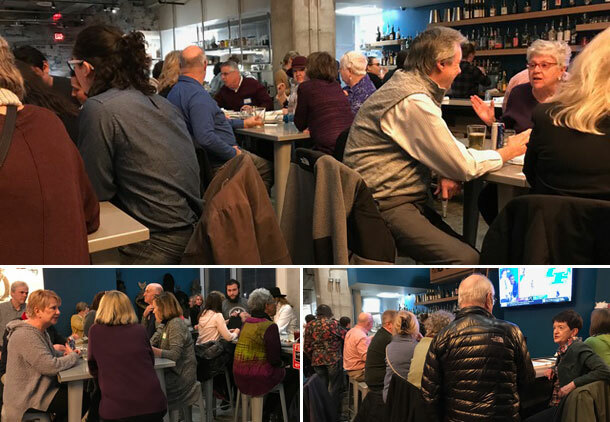 After the February DRC members meeting, there was a well-attended social at a recent addition to Downtown’s restaurant scene: the gastropub Crown Republic, located at 8th and Sycamore. A good time was had by all! 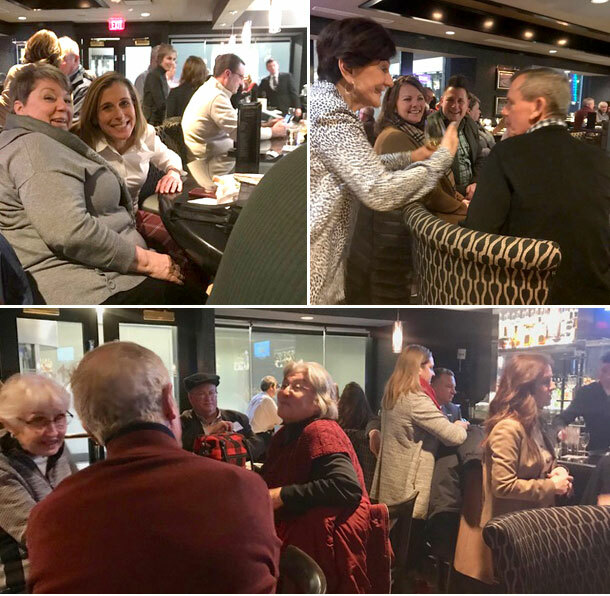 With a welcome break from the snow and freezing temperatures, DRC members invaded Morton’s in the Carew Tower in the heart of Downtown to enjoy a social. Almost 70 members enjoyed cocktails, wine and beer while surprising us with complimentary appetizers from the Morton’s kitchen. Thanks to Event Manager Bridget Bain-Grasse for being so accommodating! 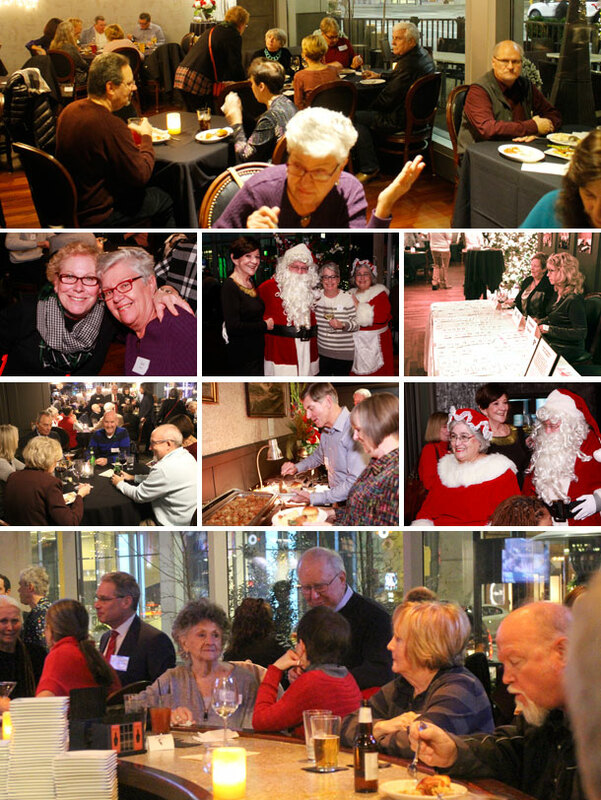 Over 150 DRC members escaped a cold Dec. 10 night to celebrate the holiday season with warm cheer at Prime, which so graciously closed to accommodate us. One of the highlights was the appearance of Santa and Mrs. Claus. 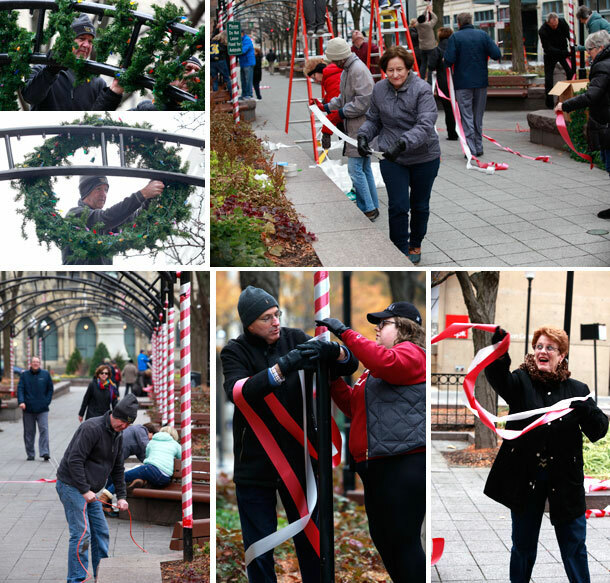 It was gray and chilly, but the coffee was hot and the donuts sweet as some 30 downtown residents and members of Covenant First Presbyterian Church turned out Saturday, November 17,2018, for the annual decorating of Piatt Park for the Holidays. On Tuesday evening, Oct. 16th, DRC members showed the Downtown Ambassadors just how much we appreciate them and everything they do to make our lives better, safer and easier! Thanks to Emily Howard and the Reserve on Fourth for hosting and to the Board Members who helped get everything together. And as always, thanks to the generosity of all of you and various Downtown businesses who provided food and gift cards for the Ambassadors’ raffle. A great time was had by all!